We all have to decide what type of stash suits us and when we find our happy place, we shouldn’t feel guilt over it. I’ve been working on a positive stash attitude for the last year. There are some skeins in my stash that I need to destash but I love most of it. I’m 100% for a stash attitude adjustment. #LoveTheStashIOwn. I love my stash like this too! I have zero guilt about it now, although in years passed I did succumb to the whole “aren’t I *terrible*? !” thing within the knitting group. Like you, my bills are paid and my family is fed; all from my sole income too I might add, so again – ZERO GUILT about my yarn habit! Yes!! All this!! 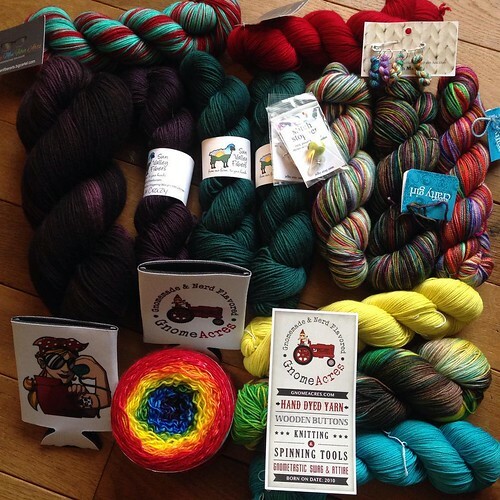 I stopped at an LYS this weekend and added to my stash…no guilt. None!